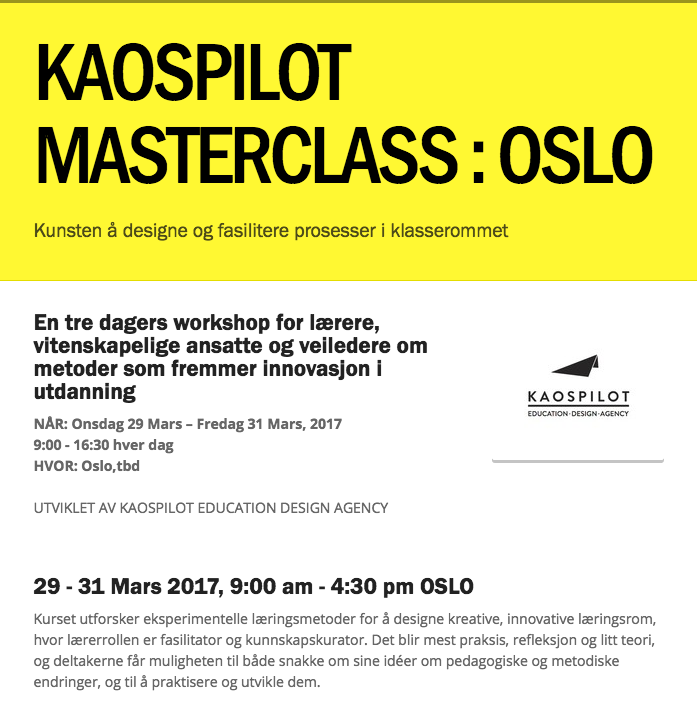 Welcome to the Kaospilot Masterclass - for the first time in Norway! Please join for 3 days of experimentation, facilitation and innovative ways of teaching. In Norwegian!